Wawa and beer, what’s not to love? 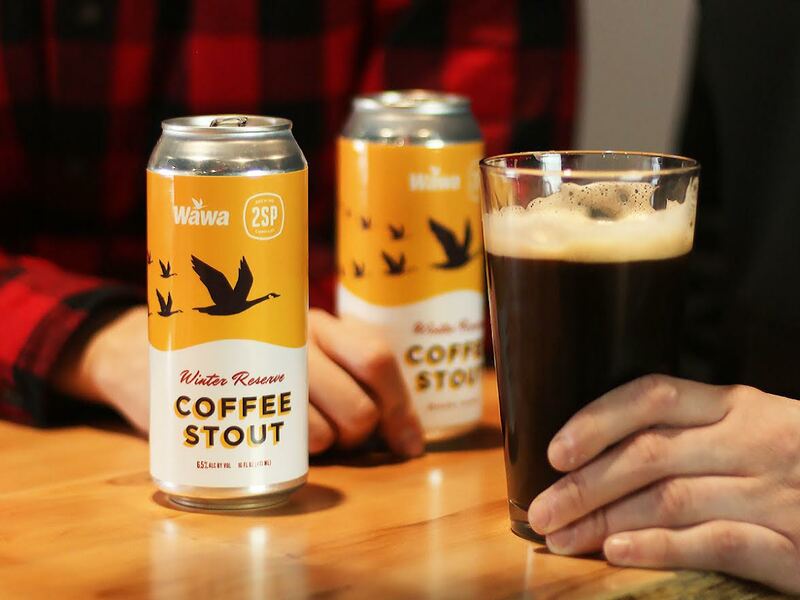 Wawa and 2SP Brewing Company have collaborated to bring the region this intriguing Winter Reserve Coffee Stout. The oatmeal stout, steeped with Wawa’s new limited edition Winter Blend coffee, was brewed by award-winning Head Brewer, Bob Barrar. In partnership with Wawa’s Manager of Concept Development and “coffee guru” Michael McLaughlin, this seasonal brew boasts flavors of sweet clove, dark chocolate, and graham crackers. The partnership brew will be available the week of December 10th. 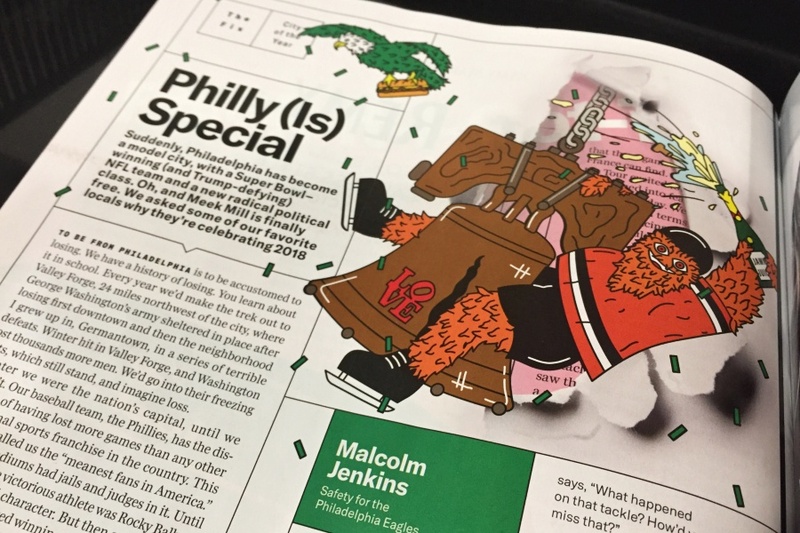 Neighborhood bars, bottle shops, and distributors in the five-county Philadelphia metropolitan area will be selling this extremely limited edition beer. Only 1,000 cases will be available! Barrar and Wawa fans can get their hands on this exclusive brew this Thursday, December 6th at a special tasting and discount event. Teams from 2SP Brewing Company and Wawa will celebrate this unique collaboration at Wawa store #170 (721 Naamans Creek Rd, Chadds Ford) from 4pm-6pm with a special Firkin tapping and complimentary tastings. In addition to the exclusive first pours from the only Winter Reserve Coffee Stout firkin made, patrons will have the opportunity to purchase the first 50 cases, priced at $12.99 per 4pack/16oz at a first come, first serve basis and will be limited to two four packs per person. Excerpts and photo provided by Punch Media. Poi Dog: Rittenhouse’s Poi Dog serves up “Hawaii-style plate lunches, fresh ahi poke, musubi, snacks, and mochi flour desserts”. The counter-style space is quick, customer service friendly, and has some fantastic dishes. 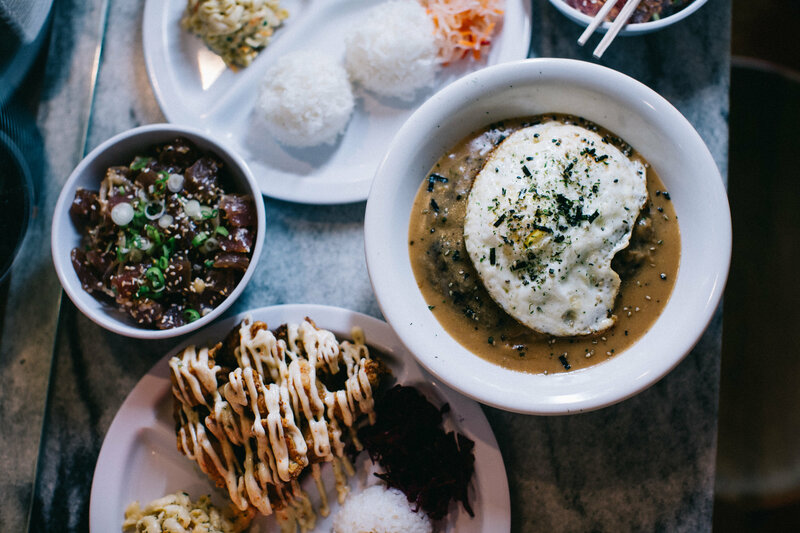 Try their nori fried chicken, Spam musubi, and more. Mr. Martino’s Trattoria: This homestyle Italian eatery is a Passyunk Ave gem. The weekends on BYOB is a refurbished hardware store that serves traditional and delicious meals in a cozy setting. From veal tortellini, to risotto with bat scallops, to spinach lasagna, there’s something for every palate here. Kim’s: For flavorful Korean BBQ done just the way you like, come to Kim’s in Olney. The growing Kim’s faith can stop by yo self-grill their own meat alongside glasses of soju and Jap Chae. Guests get free ice cream at the end of their meals which always include plentiful sized sides. Pittie Party at The Trestle Inn: This Wednesday, December 5th is the Pittie Party at The Trestle Inn. This Pennsylvania Society for the Prevention of Cruelty to Animals (PSPCA) will feature two complimentary Tito’s cocktails and other drink specials for all who purchase tickets. There will be a craft station, live entertainment, and more at this charitable yappy hour. Crawl Out: This Thursday Penn Museum will be hosting Crawl Out, a Harlem Renaissance-themed happy hour. Hosted by Bumpin’ Uglies Cabaret, there will be drinks, dancing, entertainment, games, and more. Parrandas de Navida: Come out to Taller Puertorriqueño for Parrandas de Navida this Friday night. There will be raffled, art displays, music, food, drinks, and more at this traditional Puerto Rican Christmas celebration. Dashin’ Through the Bars Crawl: This Saturday from 1 pm-9 pm, several bars in the city will be participating in the Dashin’ Through the Bars Crawl. There will be holiday themed drinks, specials, DJs at each venue, and more. Meek Mill Album Release Party: This Saturday night come to NOTO Philadelphia for Meek Mill’s official album release party. The soiree for the Philly rapper begins at 10 pm. Come to this amazing nightlife venue to hear some the best new tracks from the hip-hop staple. Game of Thrones Murder Mystery: Evil Genius Beer Company will be hosting a Game of Thrones Murder Mystery this Sunday. The Fishtown brewery will be transformed into a realm in the Seven Kingdoms for this ultimate fantasy thriller event.